After an interesting 2018 to say the least, Drakes latest album Scorpion has finally dropped. The controversy surrounding album has built up already high expectations for this body of work. After mixed reviews of his last effort More Life many people had questions of what Scorpion would sound like. So after much speculation let’s get down to the music. The album starts off with Survival; Drake has a record of starting off albums with a Epic Intro. 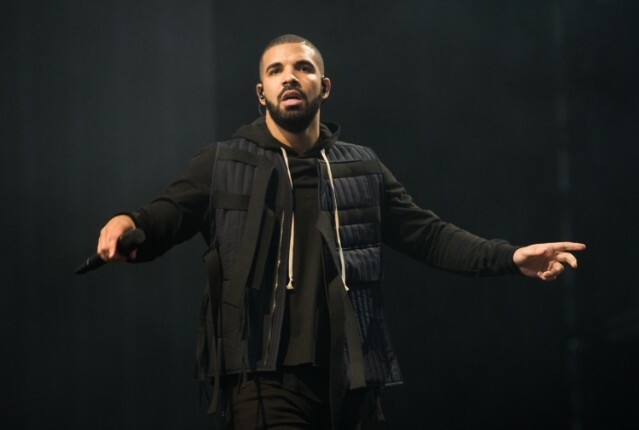 Drake is speaking on his prior issues with Meek and P.Diddy, and braggadocios raps. It’s a underwhelming intro and was expecting more. It was kind of a boring intro, especially knowing his track record with intros. The next track Non-stop is a upbeat track produced by Tay Keith. I love the production but Drake is boring on this track, it feels as though Drake is trying to ride the wave instead of being the one to direct it. The track is filled with cringey one liners, probably never coming back to this track. Elevate is a fun track, where he combines Rapping and Singing. This is the first track that I really enjoyed on the album. Emotionless is a more introspective track that is filled with just a great production and rapping. The track reminds of Drakes Western Road Flows type tracks. The next two tracks are the singles I’m Upset and God’s Plan, they need no introduction, God’s Plan fits into the album well but I’m Upset is still mediocre to me. 8 of 10 feels like a attempt at a few shots at Kanye West, through all this Drake has alot of words for Kanye but very few words for the man that actually dissed him. It’s a good track and fun to listen. Mob Ties is a decent track, but I feel like I would like it better if it came from Young Thug or any of the countless artist from Atlanta that do this sound better. Can’t Take a Joke is one of my favorite tracks on both sides. Sandra’s Rose is another Introspective track that has a amazing soulful sample. I think Drake is at his best over this production. Drake floated all over Sandra’s Rose. Talk Up is hard-hitting. I had to run it back a few times, Drake is in rare form. Jay-z is meh on this track. Not bad but not really what I was expecting, decent track. Is there more is a great way to end Side A. The sample is very interesting, Drake is rapping well on this track. Side A has its ups and downs but as a whole it’s a great body of work. When Drake is up its amazing, but the tracks that are bad sound misguided and out of place. The second side of Scorpion is more R&B geared and Drake has outdone himself on this body of work. Peak is sensual and the slow tempo really sets the mood. Drakes singing voice is on point. I would have loved to get a PARTYNEXTDOOR feature on Peak. Summer Games is beautifully produced by 40 and No I.D. The singing is good. Drake has never been a amazing singer but his voice and melodies work great here. Jaded is one of, if not my favorite tracks on this whole project. It is beautifully made. Nice for what still doesn’t do it for me, it’s not a bad track I just don’t care for it. Finesse is a good track, but I don’t really enjoy it. Rachet Happy Birthday is another good track; the name threw me off though. Side B has been amazing so far, Drake has outdone himself. The rest of the project is well done. I don’t really have any gripes with Side B, as its much more cohesive and precise. One thing I do wish is that he would have gotten The Weeknd instead of Michael Jackson on Don’t Matter to Me. So overall Scorpion is a good project. Side A was good; there were a lot of ups and a few downs on the project. Notably the how the album is arranged, it feels like a playlist. Drake also has a handful of corny lines that made me stop the track. Side A does display some of the best rapping I’ve heard from Drake in a while. Side B is great, it is the more superior side to me. Scorpion addresses a lot of controversy and sets things straight. What did you think about Scorpion? Let us know what you think, until next time.